Summary: Griffin’s helping Julia get ready for an interview for a volunteer job at a museum. Apparently she knows a lot about art now. She stresses about her outfit, so he offers to drive her to the house to get different shoes. At the house, Bailey’s trying to keep himself busy by sorting the recycling. Sarah shows up with a subpoena – she has to testify against him in court. Bailey’s a lot calmer about it than she is, since he already knows what he’s facing. Sarah’s upset because she knows everything the prosecution needs to use against him, and if he goes to jail, it’s her fault. Elsewhere in the house, Charlie and Claudia are trying to keep Owen from dropping the fishbowl he’s picked up. When Julia arrives, Charlie asks her to pick Owen up from daycare that afternoon. He’s mad when she says she can’t, and she points out that it’s unjustified anger. Then Charlie and Bailey meet with Bailey’s lawyer, who tells them that the case is going to come down to witnesses. So they just need to discredit the prosecution’s witnesses. Like Sarah. Uh-oh! The lawyer thinks they can paint Sarah as a liar trying to get revenge on the ex who cheated on her. At school, Claudia tries to talk to Reed, presciently trying out Cady’s “I’m no good at math” ploy from Mean Girls. Reed’s friendly but clueless about her interest. Julia gets her docent job, but before she and Griffin can celebrate, she’s blindsided by a visit from Griffin’s Merchant Marine friend Schuyler. He’ll be staying with them for four days. Either Griffin didn’t mention it or Julia forgot about it. Claudia sneaks a peek into Reed’s locker to see what he’s interested in. One of his interests is D.H. Lawrence. Despite bringing a friend into the apartment while he and Julia are still newlyweds, Griffin has turned into an ideal househusband. Schuyler teases him about it. When Charlie picks Owen up from daycare, he learns that the other parents are having a meeting about some possible abuse from the teacher, Jenny. Bailey warns Sarah that his lawyer is going to ask her about his affair with Callie and try to make Sarah look like a woman scorned. Sarah considers just answering all the questions about the accident with, “I can’t remember.” After all, she had a head injury. Charlie takes Owen to a doctor to find out if he’s showing any signs of abuse. The doctor doesn’t see them, and tells Charlie that Owen seems to really like Jenny. Julia heads off to her new job while Griffin prepares to spend another day in househusband land. (I’m not sure he still works at the garage.) Schuyler teases him again, reminding him how their first mate on the boat would make them do all the work to keep them afloat. He compares Julia to Cleopatra and Griffin to one of her slaves. At lunch, Julia meets up with Charlie and Bailey to discuss the upcoming pretrial hearing. She offers to use some of Griffin’s settlement money to pay the lawyer. Charlie suggests selling their mother’s piano instead. Bailey realizes how much his family is struggling to help him with his bills. Claudia has trouble paying attention during cheerleading practice because she only has eyes for Reed. He, however, still doesn’t see that she’s in love with him. She tries to talk to him about D.H. Lawrence, but he has no idea what she means. Sarah testifies, using her “I don’t remember” strategy and earning her parents’ ire. Her father warns that she could be put in jail for perjury. When Julia gets home from work, Griffin has transitioned from dutiful husband to sports enthusiast hanging out with a friend. He didn’t go grocery shopping or pick up Julia’s dry cleaning, which means she has no food for her short dinner and no clothes to wear the next day. Griffin insists that she said she would pick up the dry cleaning. Julia decides to go to the house while Griffin realizes that he’s being a jerk, thanks to Schuyler. Charlie attends the parents’ meeting about Jenny and learns that one of them has already contacted the police. Some of the parents balk, since many of the kids are fine and the accusations could destroy Jenny’s business. The father leading the charge reveals that Jenny has a record thanks to a shoplifting charge from 1979. A mother notes that that’s just the only time she was caught breaking the law. The head father is more upset that Jenny’s kept the charge secret. Julia and Griffin make peace, talking about how they’re used to one person in the family doing a certain role. They think that’s why he didn’t think about the dry cleaning and she didn’t think about cooking. At school, Reed asks Claudia why she asked him about D.H. Lawrence. He’s figured out that she went into his locker, and he’s not happy about it. Julia tries to cook dinner that night, but she clearly doesn’t take after her father in the kitchen. Schuyler makes a joke and Julia blows up at him, calling him “Popeye the Sailor Pig.” (Awesome.) They fight until Griffin tells Schuyler to let him and Julia figure out how things are going to work in their marriage. Schuyler can either shut up or ship out. Jenny shows up at the house to ask Charlie if he’s deliberately kept Owen out of daycare for the past two days. She’s upset that he might not trust her. “You people are destroying my life,” she says. She wishes the parents would ask her about the children’s injuries instead of making accusations that can’t be taken back. Charlie asks her what happened, and Jenny admits that she doesn’t know, but she’s not being allowed the chance to defend herself. If Charlie hides, he should be ashamed. Instead of his pretrial hearing, Bailey has his guilty plea accepted and learns his punishment: three years of probation, three years of incarceration suspended, one year without his license, and 300 hours of community service. The judge doesn’t like that Bailey’s getting off so easy, but he accepts the deal. He warns that if Bailey ever commits an alcohol-related crime again, he’ll be serving time. Sarah’s parents try to make peace with her, but they’re still on opposite sides where Bailey’s concerned. They tell her they don’t trust Bailey, but Sarah realizes that she’s actually the one they don’t trust. She’s upset that they don’t think Bailey will ever change. She starts packing her things. At school, Reed is suddenly over Claudia’s snooping, and they start bonding over D.H. Lawrence. Sarah shows up at the Salingers’ and tells Bailey that she left home. He quickly offers her a place to sleep. Later, Claudia asks Bailey about the situation, then notes that he can finally put his arrest behind him. Once he’s off probation, everything will be normal again. Bailey tells her that he had a high school classmate who moved to San Francisco after accidentally killing his brother. Once everyone found out, he was branded. Claudia doesn’t think the same thing will happen with Bailey. Bailey knows that the accident will always color people’s perceptions of him. Having had his own perception of Jenny colored, Charlie decides to pull Owen out of her daycare. He notes that she doesn’t have any explanations for the kids’ injuries, and she never said anything about her shoplifting charge, so it’s hard to trust her. Jenny points out that the parents are afraid and aren’t acting rational. It’s not fair for them to punish her. Charlie says he doesn’t know what’s fair, but since he doesn’t have much experience being a parent, he can’t take chances. Griffin and Julia consider cooking dinner together, but wind up ordering in instead. Eh, at least they’re happy. Owen’s upset with Charlie for pulling him out of Jenny’s daycare for no reason he can understand. Charlie tries to explain that he graduated, like Bailey when he went from high school to college. Doesn’t Owen want to be a big, brave boy like Bailey? Adorably, Owen thinks Charlie’s pretty brave, too. Meanwhile, Bailey goes to an AA meeting. 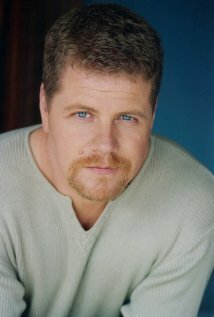 Thoughts: As indicated by the picture above, Schuyler is played by Michael Cudlitz. Bailey’s lawyer is played by Mark Derwin, who’s also been in every show ever, most recently The Secret Life of the American Teenager. So I guess Sarah never gave a deposition? Because she should have been deposed before the trial. She also could have asked for her parents to be out of the room, and they wouldn’t have known that she was planning to perjure herself. If Jenny was allowed to run a daycare with a shoplifting charge on her record, I guess it wasn’t a big deal. But, you know, if your kid doesn’t want to go to school, it must be because the teacher is abusing him. Stupid mob mentality. I don’t get this episode! First, at the parents’ meeting Charlie is all “Innocent until proven guilty, and we don’t even know what Jenny’s being accused of.” Then he yanks Owen from the school? And Jenny acts like Owen is the only student and without him she’ll fail? (Never mind that even in the early 90s, daycares in SF were busting at the seams. I mean, I remember a news story from about that time about a daycare that–if memory serves–left a baby/toddler in a hot car all day and the baby died, and the parents were all furious that the daycare was closed down without notice because where were they supposed to put their kids?) It’s really hard to believe that every parent in the school wants to pull their kids because Bratty said Jenny “was mean to him,” or whatever, and because she had a shoplifting arrest twenty years prior–especially in SF, where, let’s be honest, they don’t tend to be “lock ’em up and throw away the key,” types. I’m a mother of two, and I am kind of a “lock ’em up” type, and a shoplifting arrest twenty years prior wouldn’t keep me from letting someone watch my kids (other crimes might, but not that one). And WTH is Jenny’s deal? She gets mad that none of the parents have asked her what happened, but she doesn’t know what happened. She doesn’t offer any explanation or apology to the parents at all, just sits and stews that they don’t trust her when she’s acting shifty as hell. Why should the parents even have to ask her what happened? Why hasn’t she called them or sent a note home or mailed a letter explaining her side? Instead she just gets angry and defensive.